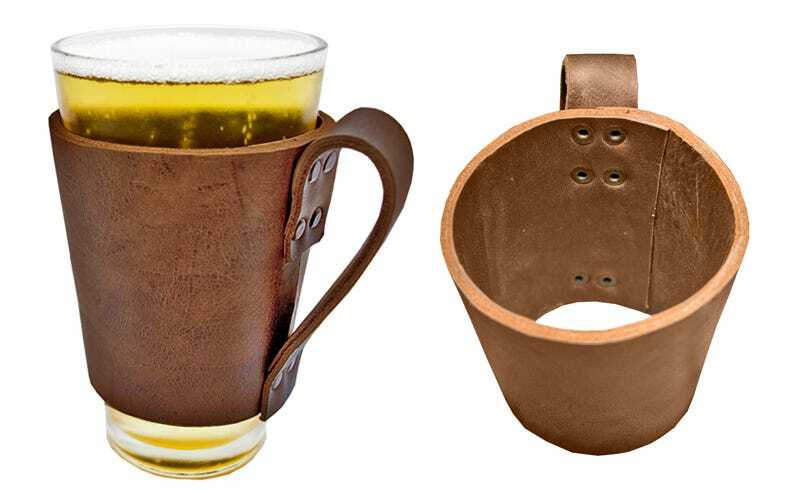 Enjoy your favorite brew with the handmade Leather Pint Sleeve from Hide & Drink and keep your beer cold. Grab one ahead of St. Patty’s Day for just $9.50 with promo code PINT50. The Pint Sleeve is hand sewn and made from 100% rustic full grain leather and durable metal hardware, an attractive addition to any kitchen or bar. Hold up to a full 16oz pint glass using the durable leather handle and move around easily at a tailgate, party, or at home. With 50% off, a Pint Sleeve is just $9.50 and comes in Bourbon Brown. Plus, Hide & Drink offers additional products such as a leather beer kuzy and coffee/tea sleeve. So if you enjoy the satisfaction of a cold beer, grab the Pint Sleeve from Hide & Drink for 50% off with promo code PINT50.